GREAT LOCATION. Mesquite C.C. Phase #1. 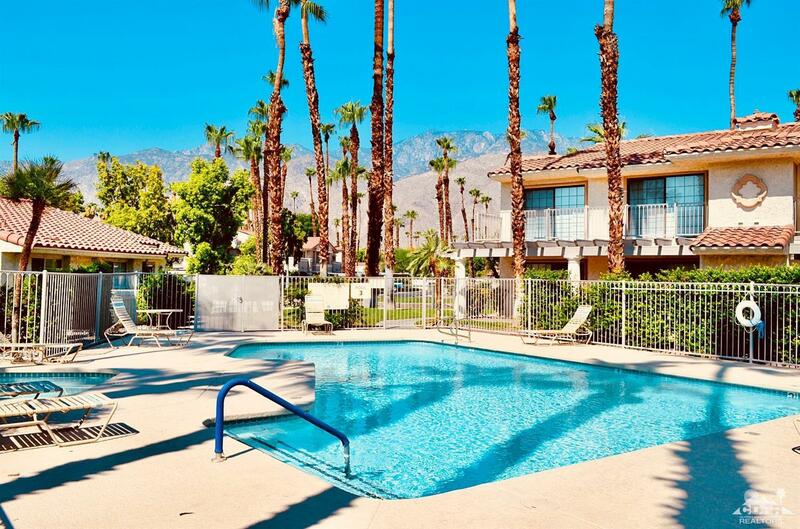 Ground floor unit with EXCELLENT and easy proximity to pool and parking. Great separation of bedrooms. Steps to pool, but still private. END UNIT! NEW and attractive porcelain tile floors THROUGHOUT. NEW paint throughout. NEW stainless stove and microwave. NO popcorn ceilings. This unit is ready to occupy OR do more now or later. Close to shopping, golf, restaurants, airport and entertainment. Walking and bike paths. HOA includes Cable w HBO, Showtime & internet. Trash and water are PAID. Minimum rental at Mesquite C.C. is just 7 days. GREAT unit!